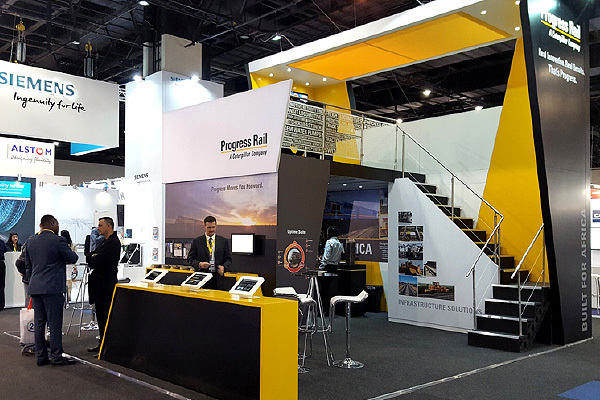 RedAnt showed off its exhibition design and execution skills with this custom built a double-story stand for Progress Rail, who was exhibiting at Africa Rail 2017. 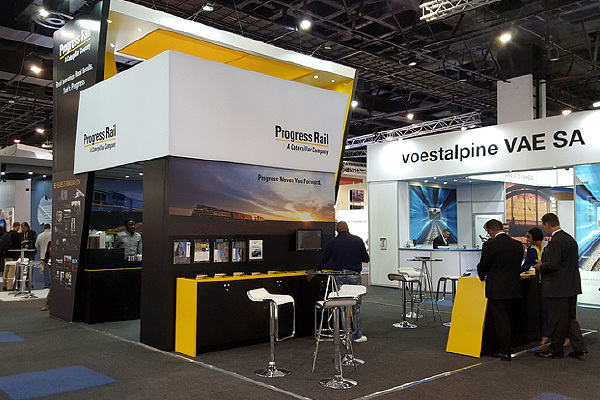 This was a large stand with a very short build-up period. It required fast efficient planning and logistical work. 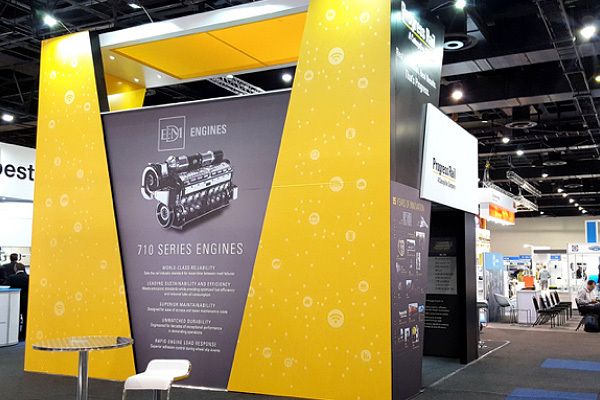 The RedAnt Design Team proved once again we can be relied upon to produce superb exhibition design and execution on-time and within budget.